For most people see managing PPC campaigns, revenue tracking generally ends with a Google Analytics installation instead of a customer relationship management system where it should be. Without directly linking your PPC accounts to your CRM system to track your campaign ROI, your campaigns will continue to limp along falling far short of their true and fullest potential. This article proves explains why. I have personally installed dozens of new offline conversion tracking / revenue tracking systems for my clients and have achieved these kinds of results many times in the past. 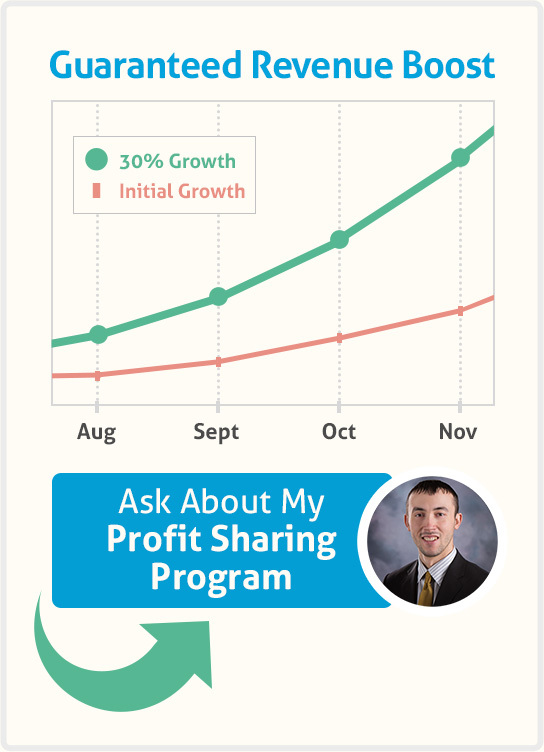 Only about 50% of the leads you are likely paying for right now are actually making you money. Are your display campaign leads really turning into paid customers? Are leads which come from more generic two term keyword combinations actually producing revenue or are these top of funnel leads that end up going with competitors anyway later on? Are people who clicking your PPC ads to discover your company and months later click an organic result skewing you conversion data by a significant amount? While revenue tracking provides myself the ability to improve and refine a campaign to the highest level possible, my clients also of course wants to use that information to know whether or not to invest more money in their campaigns. When the request to leverage their accounts come as it usually does, revenue tracking affords me to know where new budget should go at a moment’s notice. All I need in these situations is to pair my clients revenue data already available in our CRM with what information Google gives us about increasing our bids via their bid simulator to know not only where to stick that new money, but also roughly what it will produce once it is spent. 1. B2B PPC search behavior is highly erratic, full of information seekers that never convert, and offline conversion tracking paints a picture of term types and trends that actually make the company money. 2. Sales cycles are long, averaging 2 months in time as depicted by a marketing Sherpa study allowing offline conversion tracking fills in the blanks where normal sales people could on their own. 3. 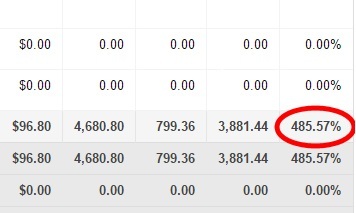 High CPC’s makes any small efficiency gains back out to huge increases in net profit on the companies balance sheet. While it is true from an information stand point that sales revenue from new incoming clientele can extend for years making regular optimization based on revenue hard to do, this problem is easily compensated for by estimating lifetime client value to optimize any campaign beforehand. With online eCommerce revenue tracking already in place,the first thing you likely want to do once you have already made all your adjustments based upon that data is get your offline sales data back online for orders that do not originate online (such as by phone)to paint a clearer picture of what your total campaign return is. You can do this by using a call tracking / recording app like CallRail. 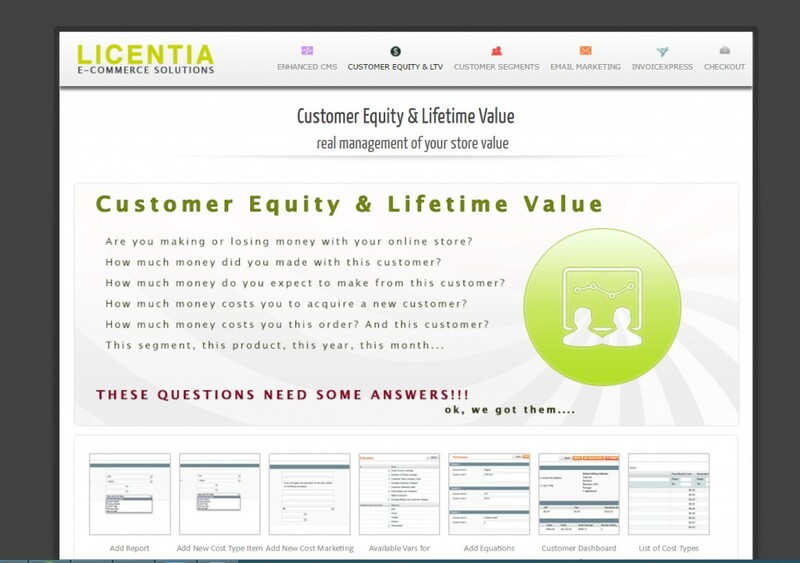 Once that step has been completed and all of your sales are now being accompanied for, you can now seek to calculate your campaigns true profitability using a lifetime customer valuation tool or plugin such as what Licentia offers here (link http://licentia-extensions.com/customer-equity-lifetime-value/) here to optimize your campaign for the real returns they generate. A very common application of revenue conversion data in the eCommerce space is one in which you will need to make a determination of how to tier bids between Google Shopping and Search campaigns given the vast CPC difference between the two channels, lifetime value wise. While search campaigns are quite a bit more expensive than shopping campaigns, they are more expensive for a reason (as per my own experience). 1. They didn’t know it was possible. 2. They don’t know how to it. 3. They think it’s too hard to do it. 4. They have antiquated business systems already in place that disallow it. While it is indeed very difficult for a novice to install revenue tracking due to its complexity, it has become easier than ever due to the availability of new plug and play tools making this process simple as is outlined in the rest of my article. Your journey of tracking the true ROI of your PPC campaigns starts with first modifying your campaigns URL’s structure so you can identify the source of every one of your web leads and distinguishing which leads are truly PPC related. 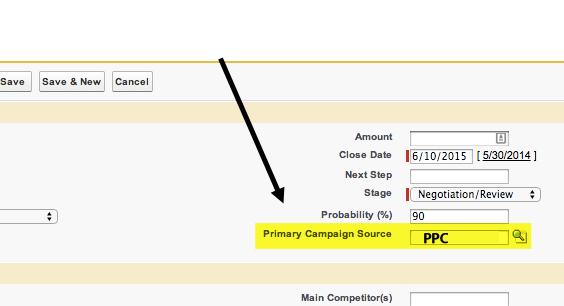 By adding unique UTM parameters to each of your PPC campaigns destination URL’s, you can identify and send all PPC leads and information to your CRM system where it can be identified and paired with your CRM’s sales data if and when a sale occurs to understand how much of your gross sales revenue is truly being attributed by your PPC campaigns. What you decide to track with your UTM tags is only limited by your imagination. You can use Googles UTM builder here to help you build out a very comprehensive set of data, it is very useful. Dynamic parameters can be used to capture highly diverse and useful campaign data such as individual search keywords for you automatically. ** In 2016, it is no longer for third party companies to collect Google AdWords’ actual search query strings, only raw keyword data is available inside these programs. 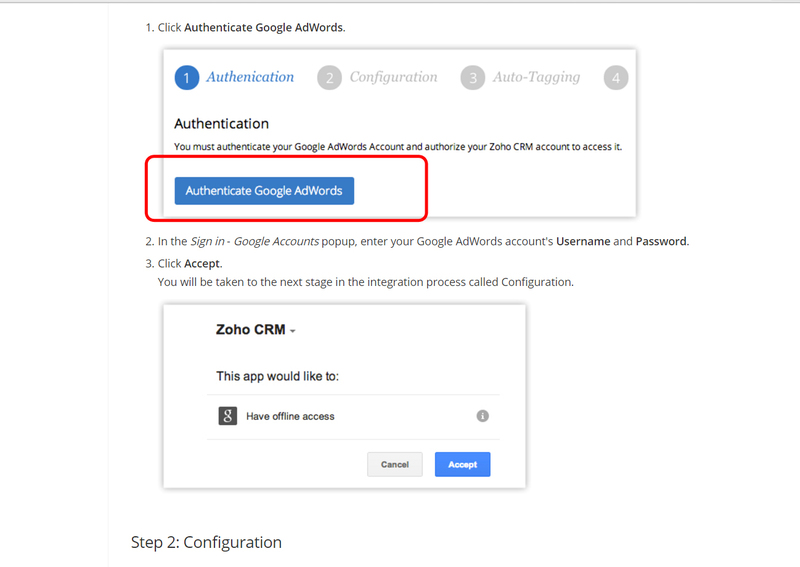 In the case you are using a landing page tool with your campaigns, UTM string data may be sent to your CRM through the use of webhooks. If you are using Unbounce, Marketo, Pardot, this is common functionality that I have already verified as working for you prior to writing this article. 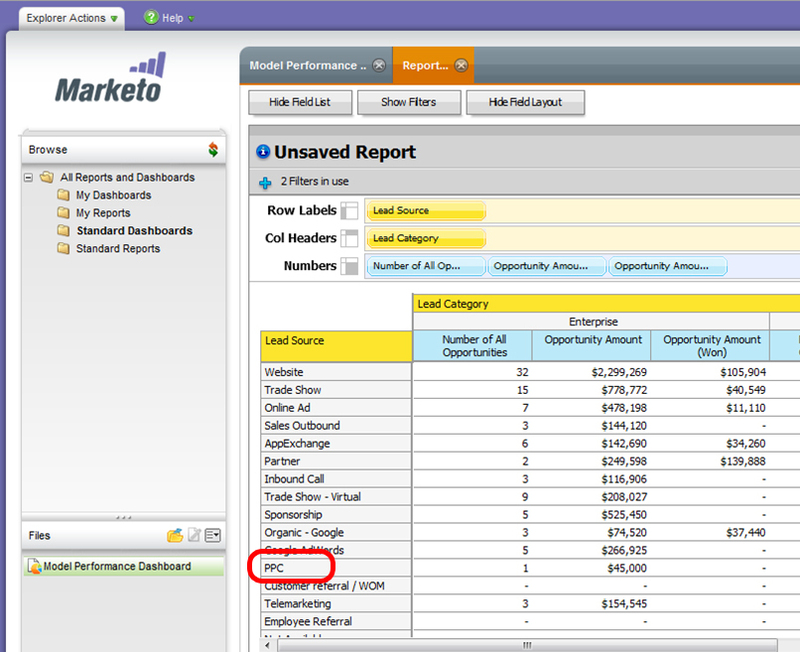 Marketo and Pardot also actually have automatic ROI tracking with their own interfaces and are a main feature of their platforms. 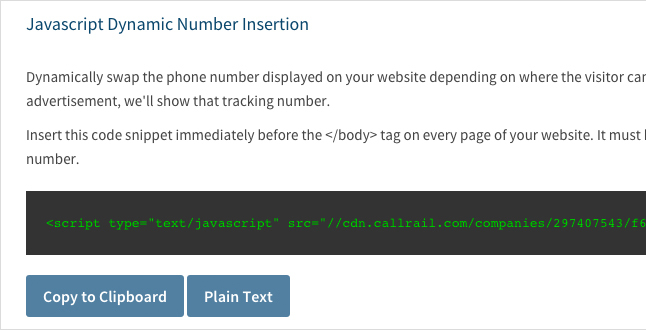 which allow you to first route all of your websites calls through a tracking system to log their traits before sending it on to it’s end destination. Not only can the raw number of calls can be tracked using these call tracking softwares, but also anything else you will likely want to track about your users as well such as keywords or placements they used to find your ads in the same way you would with form based tracking. If you currently use a call tracking provider like call rail (which I recommend), you can track all phone calls that come into your system via these alternate and manual ways. 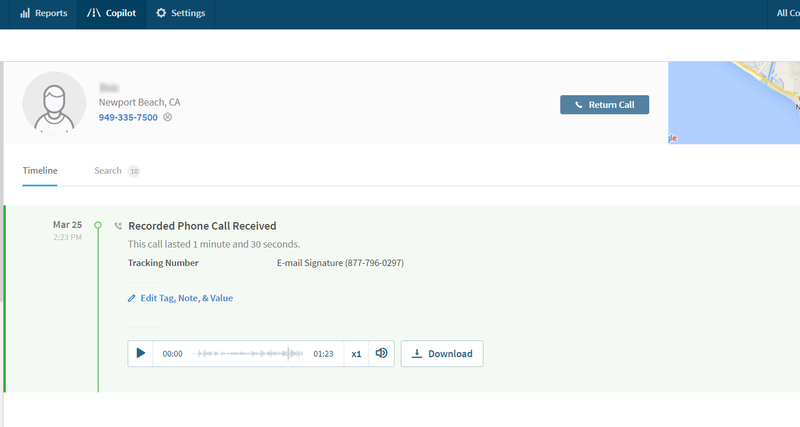 #1 – Wisper feature – If you have a very attentive secretary, you can activate the whisper feature of the call rail software so that when a call comes in through your website, a whisper stating the call source before the call is connected can be played to the secretary so she can go ahead and log the source with the lead when the lead actually becomes a lead. 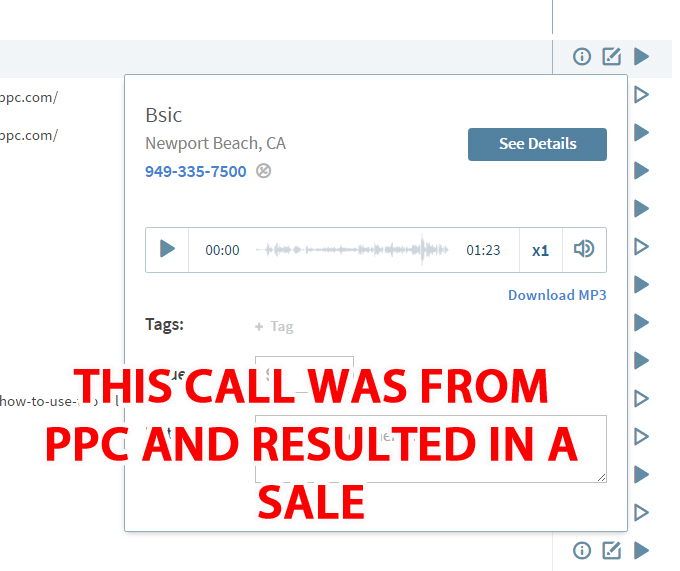 #2 – Call recording – Inside the call rail call tracking interface, you can activate and see calls that have came in through your website and leave notes for each one after they have been completed stating not only who they were from, but how much they spend to keep a running tally of revenue by source for each of your online marketing channels. 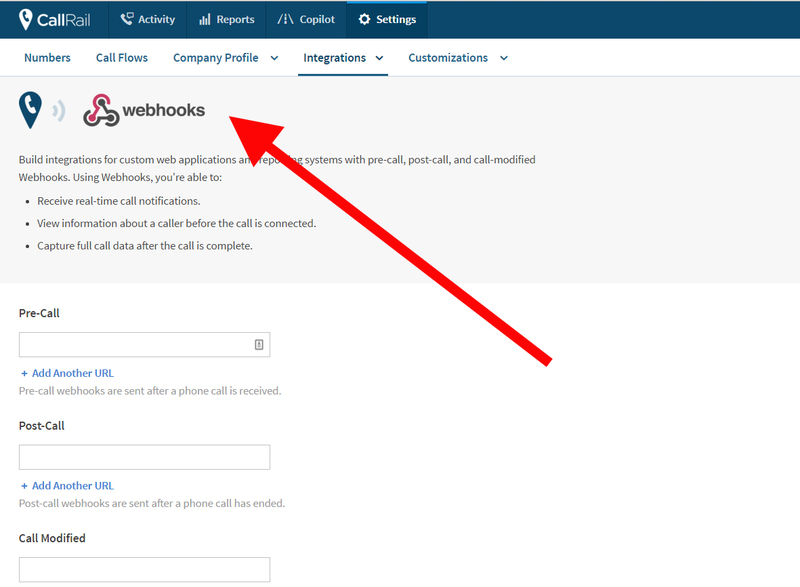 #3 – Callrail Copilot – Phone agents that have the call rail dashboard loaded on their workstation PC’s can log call in user identities to the call rail caller log as soon as it happens using call rail as sort of a crude CRM of it’s own. If you wish to import your PPC revenue data back to Adwords itself for campaign optimization purposes instead of simplyanalyzingthis data inside of your CRM System, then you will need to follow Google’s own process for doing this which involves recording and storing the unique identifier Google assigns to every one of the visitors they send you so that you can have a system of informing Google of any subsequent sales thetraffic they have sent you had yielded. This Google Click Identification, or GCLID for short, tracks and logs all of your visitors for up to 90 days in the future. 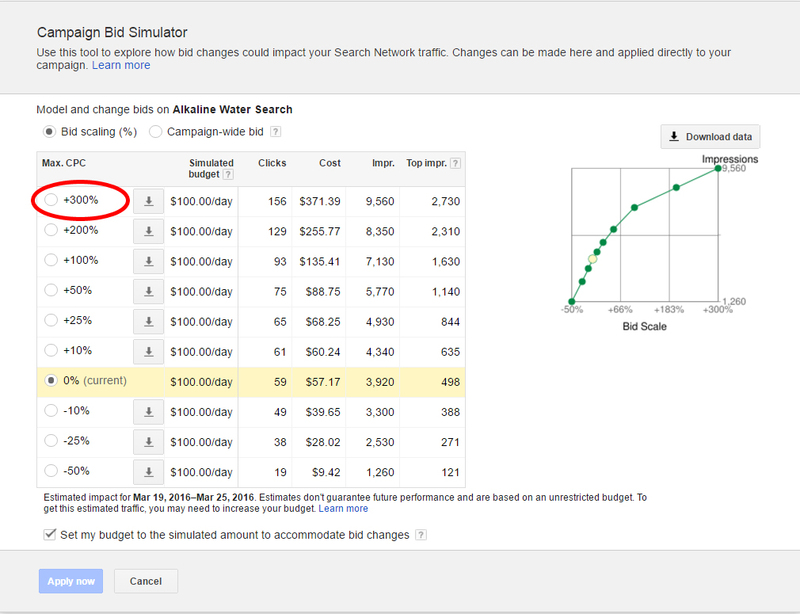 *** You must enable auto-tagging in Adwords for this to be possible. For full implantation instructions, please read Googles help article here. This GCLID’s is stored on your users browsers by means of a web cookie until they turn into a lead by in which that GCLID code is extracted from their browser and sent to your CRM for later retrieval by means of a hidden form field on your site. If you are also tracking leads by phone and also wish to pass sales data online to Google as you did with your web form leads, GCLID’s can be also grabbed from your users by using your call tracking providers built in software functionality or manually via their systems dashboard as shown below. 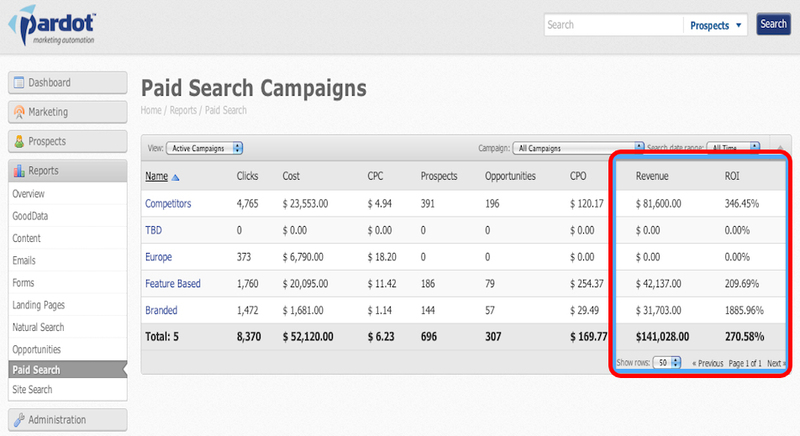 Once a corresponding sale happens, you will report that sale to Google by uploading a spreadsheet to Google with the GCLID of the sale, the conversion time, the goal name, and the corresponding amount of that sale to complete the necessary information loop and see your revenue data inside of your Adwords account. Google gives us a pre-formatted spreadsheet to help you with this task as found here. The end result of all of this work is real revenue data showing up in Google Adwords like is possible with a traditional eCommerce campaign. 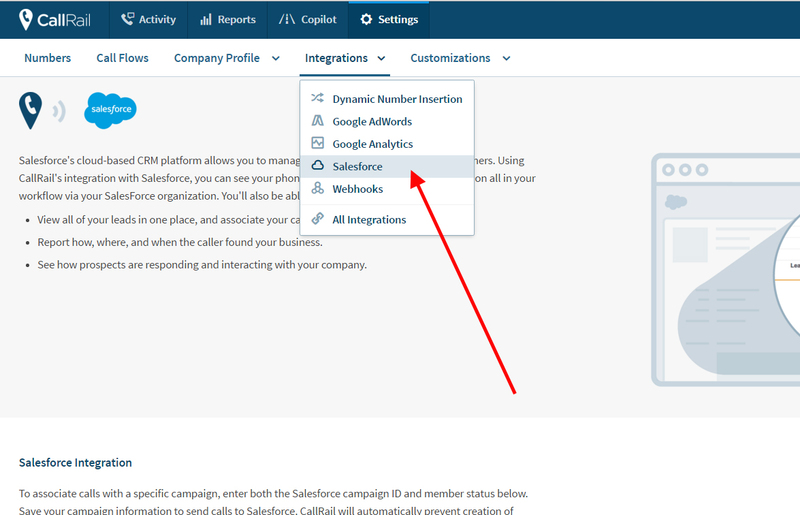 Salesforce does have a fairly streamlined way to track offline conversions by using UTM strings and integrates with most call tracking options. If you were complaining that PPC revenue tracking was too hard for you before, then this definitely is the way for you to go. Given PPC revenue tracking is a native feature of this CRM platform, their customer service department will even help you through this process if necessary. 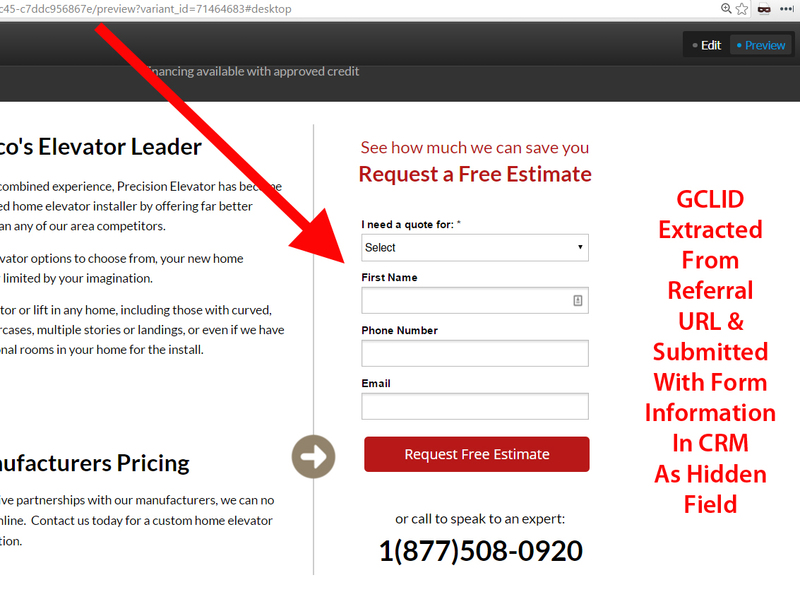 If you have a CRM system in place that simply can’t be changed or modified, or simply does not accommodate importation of referral URL data, you can build one completely from scratch for a few hundred dollars that captures the referring URL and or GCLID necessary for offline conversion tracking and import as I have done before for other clients. While you can certainly do things this way without having to spend money on a fancy CRM, I only recommend doing it this way if you have no other choice as your revenue data as a whole will be a lot more accurate due to it actually being constantly maintained by your sales staff as its already used as an integral part of your business. 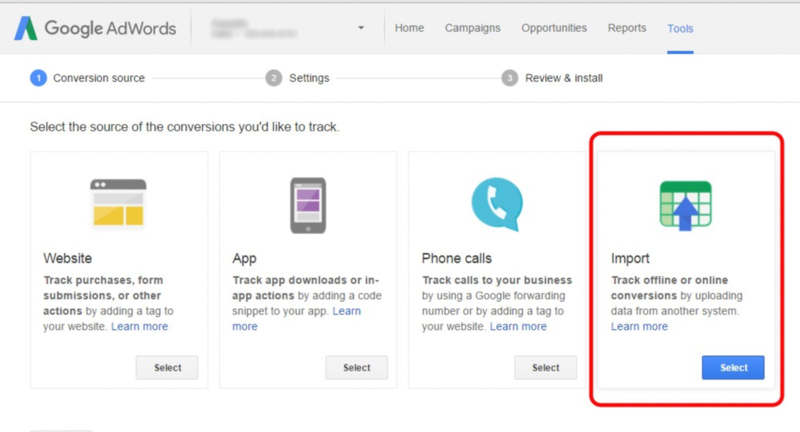 You cannot track conversions that happen more than 90 days after the initial lead initiation via the Adwords offline campaign importation feature. Offline conversion data can however be tracked for far longer if all you want to do is review your campaigns ROI by reviewing your CRM data itself. Revenue tracking data cannot obviously be used to optimize a campaign if you have other campaign optimization tests going on. Revenue optimization is something I typically do last when optimizing any PPC account, after all my CTR and initial landing page split testing has been completed and we have reached somewhat of a plateau point with the campaign. Just by moving budgets around with the data at hand bidding more for the keywords that are generating most of your revenue, you can see there are huge gains in performance waiting for your business. While offline revenue tracking does have a high potential impact for your business, that impact will likely take many months to realize even though there will be many quick wins for your business. 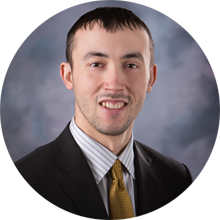 The fact of the matter is however, if you are in a competitive field, it is best to get this out of the way now as your competitors are already likely doing this and if not, will be soon creating a very un-level playing field for you. Getting it done now is the only way for sure you know you are not at a huge competitive dis-advantage either now or in the future. to discuss your business objectives. Unsure about who to hire to revise your PPC campaign and landing page strategy? Not sure how to do it yourself or if it is even possible? I will do it completely on contingency for the right clients. If you are accepted to my program, you don’t have to pay me until your campaign makes you more money.